This month, we want to tackle a pretty prominent, pretty large conversation: how we can help the planet. One of the main questions we’re asked at Pollen + Grace is “Why do you use plastic packaging?”. Sometimes the question is skipped and we simply receive the onslaught of how we should be ‘ashamed of ourselves’, but either way, it’s apparent that using plastic in 2019 causes upset. First things first, we’re in no way _____ of anyone fighting this cause - for change to happen, there needs to be people fighting for it; the more the better. And often we’re the ones asking that same question when we see plastic used in unnecessary circumstances. But unfortunately we are a plastic reliant society, and our choice as a business to use plastic was not out of preference but out of necessity, and lack of options. It’s an area that we cannot do much about in the short term, yet there’s a lot of other areas where businesses can make positive change. Research by the University of Oxford found that the meat and dairy industry accounts for 83% of farmland and 60% of agriculture’s greenhouse gases worldwide. Likewise, sourcing sustainable fish is a murky area, fraught with complications. Wahaca recently took prawns of their menu as they couldn’t guarantee they were MSC certified any longer, and we recently found ourselves in a similar situation. 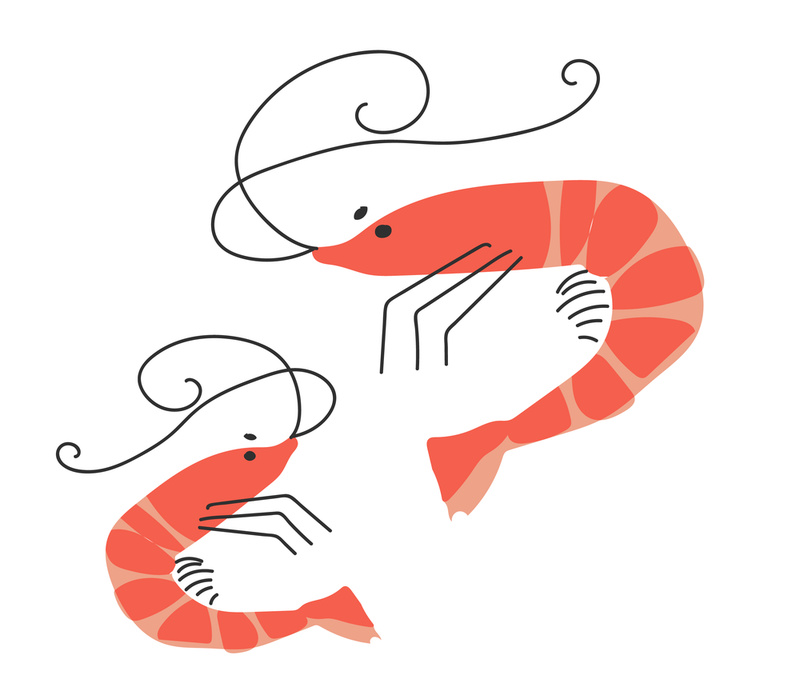 It was the reason we removed The Alkaline Box from our product range, as we could no longer source MSC certified prawns, and would rather remove the box from the menu than use prawns from an unsustainable source, causing damage to our oceans. Planning an energy efficient production kitchen is quite the task, and there’s no such thing as the ‘perfect kitchen’. We’re fortunate that all of our breakfast range, and a lot of elements across our lunch boxes require no cooking, so our energy usage is significantly lowered. It may seem like a very small consideration, but even the act of putting a lid on a pan of veggies steaming on the hob will lower your energy usage. As a consumer, it makes sense to direct your anger at single use plastic you see everyday - straws, coffee cups, plastic bags etc. but behind business doors, the amount of plastic really intensifies. Some of it we have no control over (supermarkets require that you cling film pallets of boxes before sending them on their way), but others we can control, and do. Where possible, we receive our fruit and veg ‘loose’, with no single use plastic, in trays that we can reuse. And we order any pulses and grains in the highest quantity possible to eliminate small plastic bags - it takes a lot less plastic to package one 50kg bag than it does to package 50 1kg bags. The same applies for everything from oil to tamari - as a SALSA accredited kitchen, we’re not allowed glass on sight (another hurdle we can’t jump) so we instead order 10 or 20l bottles to keep the amount of plastic down. Our office and kitchen operate under a zero to landfill scheme, which means absolutely no waste that we make ends up in landfill - it’s all either reused, recycled, composted, or sent to energy recovery. It means we pay a little more than the average for our waste collection, but we’d rather a clear conscience than pennies in our pockets. once it hits landfill, it doesn't matter if it’s a banana skin or a milk bottle, they all have the same effect. We set up our business model to ensure we kept food waste to an absolute minimum, and it’s worked perfectly. We produce to order, which means we never have products leftover at the end of production - whatever we make has already been ordered by our customers. In the worst case scenario, we may have a little too much quinoa, or a few more sweet potato wedges, but staff lunch quite quickly takes care of that. And whilst food waste may be seen as much less offensive than plastic, once it hits landfill, it doesn't matter if it’s a banana skin or a milk bottle, they all have the same effect. How? When sent to landfill, waste is in a controlled environment designed to prevent contamination of the surrounding environment. Unfortunately this doesn’t allow for the natural breakdown of food - in fact food waste decomposing in landfill actually increases methane production. Once we learnt this, we certainly started taking our home food waste bin much more seriously. This ones a little tricky, but we just want to highlight that our current packaging wasn’t an uninformed choice - quite the opposite. There’s a few other companies in the market that use the same boxes as we do, and they claim on their packaging that it’s ‘100% recyclable’. We don’t make this claim, because it’s a claim that needs to come with an explanation. In Hackney, and all boroughs in London for that matter, it can be recycled in your household recycling bin. But this isn’t the case across all of the UK - in Leeds and York it has to be taken to a recycling centre such as those outside supermarkets, yet in Cambridge, it can be put in your kerbside recycling. The UK still has a long way to go in terms of recycling schemes, which means we as individuals have to put the time in to make informed decisions about where we should put our waste, but hopefully as this movement grows, as does the options available to us. millions of people doing it imperfectly.